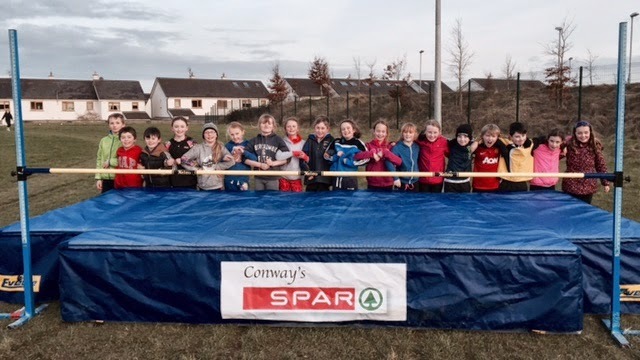 U11's Boys and girls got their first taste of High jumping on the track last night with thanks to proceeds of Ratoath AC 5k road race last September sponsored by Conways Spar. Fantastic development for the club. We can now compete at leinster and National level in this event. Next step will be the development of a proper tartan surface so we can practise to the full capacity. We are very limited jumping on damp grass however it's an amazing start.